At a time when Talking Pictures TV in the UK is attracting more and more viewers to its offer of popular British films from the 1940s to 1960s (and a few other goodies too), it’s worth asking if in another 50 years, film scholars will be studying the ‘popular films’ of the 2010s. They should because every film reveals something about the film culture which produced and consumed it. What can we learn now? On the eve of a possible ‘Brexit’ we might note that this British film attracted some investment from Belgian tax funds. I wonder if that will happen again in a ‘post-Europe’ British film industry? (Actually the Belgian company Umedia seems to have other UK productions on its books.) The principal production company of Fisherman’s Friends is British with a record of producing popular entertainment features that don’t involve the usual public funders, BBC Films, Channel 4 and the various regional funders. This counts as an ‘independent’ production in the commercial sense, though it is resolutely mainstream and conventional as a film narrative. 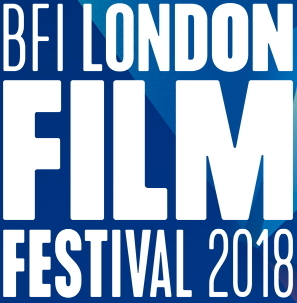 Lastly, the film is distributed by Entertainment Film Distributors (EFD) which focuses on both US and UK independent features – and is prepared to support a wide release. 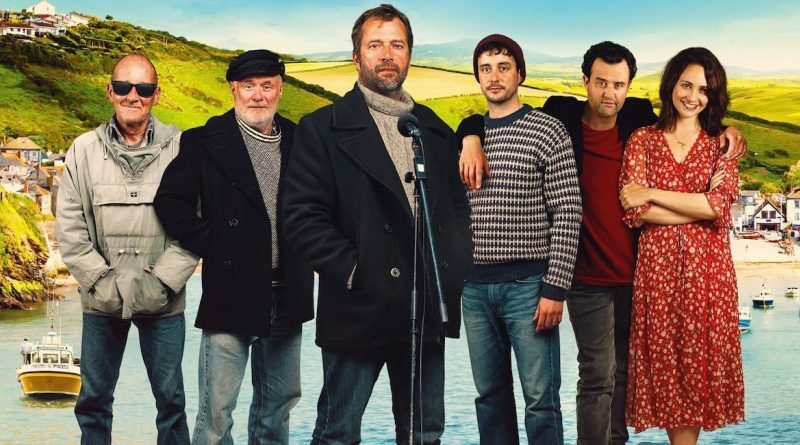 Fisherman’s Friends is one of those ‘based on a true story’ films, an unlikely music industry story which is easily turned into a social comedy romance. It is being generally treated as a ‘feelgood film’ or ‘one for the Oldies’. Neither of these is a totally inaccurate description but perhaps masks the interesting mix of elements. In 2010 a group of fishermen in Cornwall who enjoyed singing sea shanties were noticed by radio DJ Johnnie Walker and found themselves with a Top 10 album after a record producer gambled on their local popularity becoming a national phenomenon. They went on to make regular high-profile appearances, e.g. on the Glastonbury stage, and are still performing with slightly changed personnel in 2019. The film based on the ‘discovery’ of the group inevitably changes some aspects of the story and grafts on a romance. A music industry figure played by Daniel Mays meets the group through a contrived storyline. 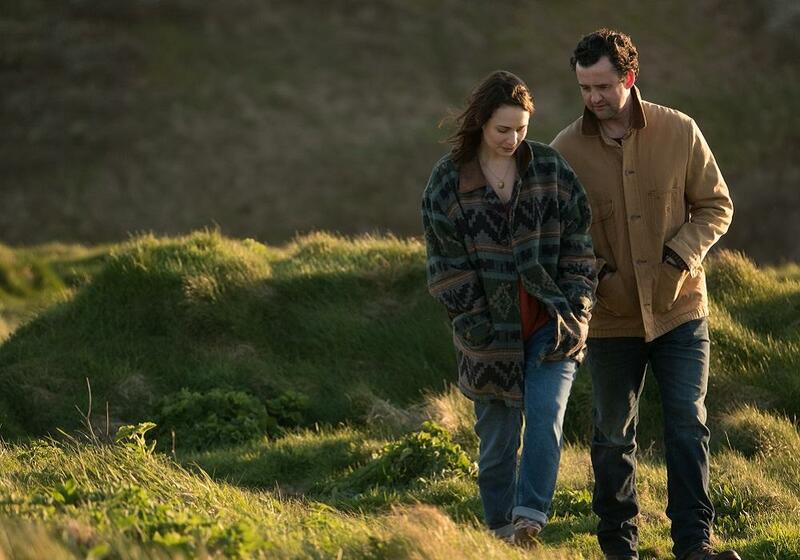 The leader of the group is Jim played by James Purefoy and his daughter Alwyn (Tuppence Middleton) is a single parent with a 7-year old daughter. Alwyn manages a B&B. The plot creates an interesting triangle. All the singers are local fishermen in Port Isaac and many double as the local lifeboat crew. The structure of the comedy narrative refers back to Ealing with the arrival of metropolitan record industry people in ‘the independent kingdom of Cornwall’. The trip also highlights the presence of the British upper classes in Cornwall. Think Whisky Galore as the best-known example of this sub-genre. In this case there is also a visit by the fishermen to ‘that there London’ – possibly the weakest part of the film. The weakness of the script is there in very cheesy one-liners (followed by the occasionally very funny line) and the exaggerated difference between Cornwall and London. The London we see is all about record company offices and hipster diners/pubs. It’s good to see that London is represented as the multiracial city it is in reality but the scene in which the fishermen sing an impromptu shanty in a pub and are cheered on by a largely young black audience is very odd. I’m suggesting that the filmmakers have some positive ideas but haven’t quite worked them through. 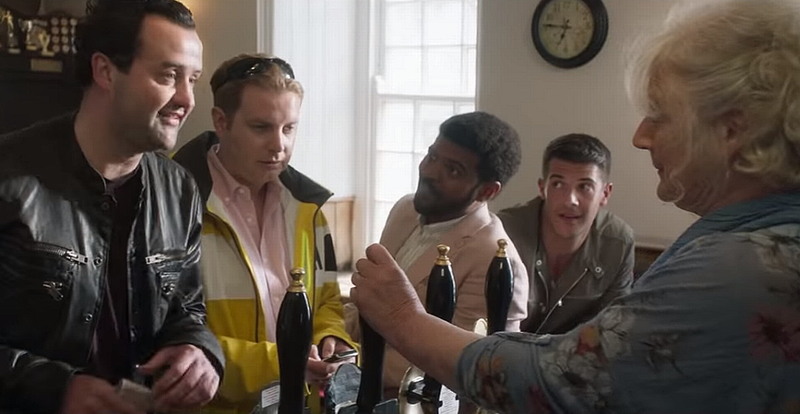 This is a film with a strong cast which also includes David Hayman, Dave Johns, Noel Clarke (almost unrecognisable under a wig) and Maggie Steed. Steed, Purefoy and Middleton all come from the South West (but not Cornwall!) so they do have some regional authenticity. By contrast to this experienced cast, director Chris Foggin is making only his second film. The writers have got hits like the two St Trinians films among their credits. Somebody should perhaps have known better than to string out the narrative to 112 minutes. There are several songs in the film and that perhaps explains the length. I enjoyed the songs though I think some more variety might have improved the ‘musical’ elements of the genre mix. The ‘real’ singers appear as extras in the film. Whether they are actually singing I don’t know. The one ‘different’ song sung by the Same Swainsbury character is something that might have been developed. Unuusually for a British film of this type, it is presented in ‘Scope which enhances the natural beauty of the Port Isaac setting. Many of the UK critics marked the film down and the trade paper Screendaily remarked that despite ‘soft reviews’ the film’s wide release (over 500 screens) had been successful giving it a No 2 slot in the UK Box Office. If the film does skew towards older audiences it may well have done good business in mid-week. Overall I enjoyed the film. It won’t be a classic feelgood film and as the ‘true story’ is already nearly ten years ago the narrative itself doesn’t necessarily speak for/about 2019. But the opening week success does suggest that in the midst of debates about streaming and up against the release of Captain Marvel on the same weekend, a small independent feature can still attract audiences in large numbers. It may simply disappear next week but EFD will still feel it was worthwhile going for those 500 screens. Cineuropa also reports that the film has ‘pre-sales deals’ in Spain and Scandinavia – perhaps the universal attraction of singing fishermen and the possibility of a metropolitan man falling for a local woman can sell the film in several territories? 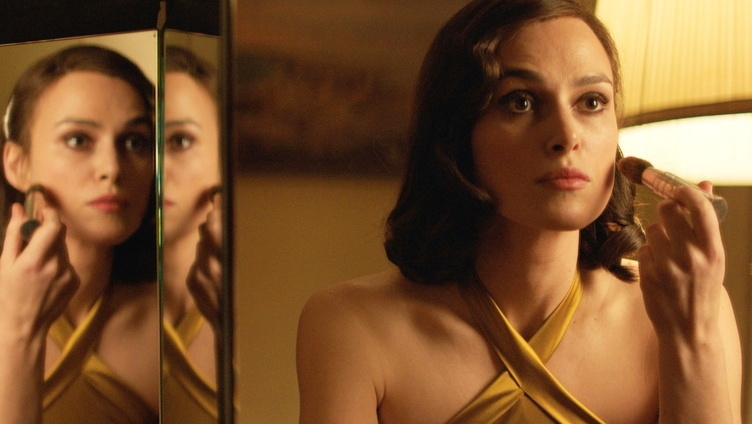 I enjoyed Tuppence Middleton’s performance very much. After starting to watch five features and completing three I was a little disappointed with ‘My French Film Festival’. The three films I watched all the way through were OK, but not really ‘special’. I’m glad I was able to see them but I doubt that they will open in the UK. Fake Tattoos was my last film before the festival closed and at first sight I didn’t expect much. But it was wonderful! A sweet romance between two young people that came across as ‘real’ without any form of contrivance or genre pressures: I loved this film. Les Faux Tatouages is a Canadian feature, another Québécois treasure to add to those breakout films by Denis Villeneuve, Xavier Dolan, Philippe Falardeau etc. a few years ago. 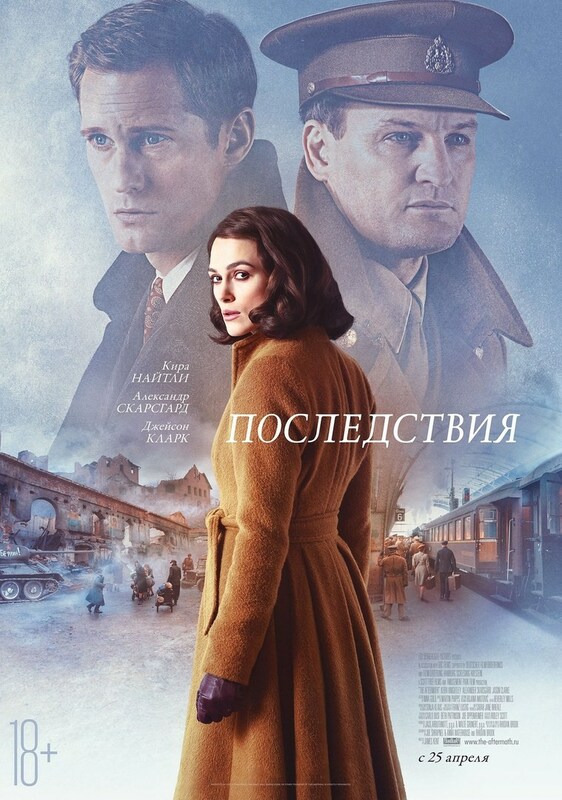 (I noted that a couple of the actors in the film had also appeared in Falardeau’s Monsieur Lazhar (Canada 2011).) I’m not sure why Les Faux Tatouages is in a French Film Festival as it seems to be a 100% Canadian production, but it is a French language film (and it’s presented in 1.66:1). The film opens with dialogue over a black screen. Only towards the end of the film will we realise what this dialogue might refer to. When the first images appear we are in an off-licence where Théo (Anthony Therrien) is buying beers on his 18th birthday. Downing them quickly round the corner he joins the crowds heading for a concert. Afterwards, in a late night café, he’s chatted up by Mag (Rose-Marie Perreault) who admires his fake but well-drawn tattoo. Théo is at first reluctant to respond to her advances but Mag is persistent and they end up back at her house. In the morning, Théo is uncomfortable meeting Mag’s mum and her little sister. Will he try to build a relationship? He’s 18, she’s 19. They seem well matched but there is a darkness about Théo (whose only colour choice appears to be black). You can probably work out some music culture pointers from this still. What follows is a slowly developing relationship which is totally convincing. The dialogue is beautifully written and feels ad-libbed. The two young actors had some previous experience, but mainly this is a first cinematic feature for writer-director Pascal Plante and many of the other cast and crew members had only limited experience. The film is not fast-paced. Plante and his cinematographer are quite prepared to let scenes run and Théo pauses before he speaks. The two young people both play the guitar to each other and music is a shared passion for them, though they like different types of music. (I’m not competent to discuss the selections in the film but my guess is that these are authentic music fans.) Accepting each other’s tastes is an important part of building their relationship. This isn’t a genre film as such so there are no rom-com like narrative devices and no real climax to the narrative. This kind of film just creates a glow of pleasure for me. In a way I want it to end (in the way this one does) so that I can really enjoy basking in its affects. It’s a relatively short film at under 90 minutes. Is that for fun or school?, he asks (non-judgementally). It’s good to see Salinger is still something worth reading. I said that we do find out about the mysterious dialogue at the beginning – or at least we are shown a scene which the dialogue probably refers to. It explains something about Théo’s behaviour and why he has to do what he has to do. But in keeping with the rest of the narrative it is something important but not necessarily terminal for his relationship with Mag. The other aspect of the film that is thankfully not concerned with genre is the fact that most of the characters we meet are ‘nice people’. Both Théo and Mag are with their mothers as single parents and both have sisters – Théo’s is older and takes him out for a drink. Mag’s is much younger and playing with her brings out Théo’s artistic and caring nature. He wants to become a tattoo artist and the possibility is one of the few conventional ‘drivers’ of the narrative. Both the leads in the film are attractive but not conventionally so. They play their roles very well and I was happy to spend time with them. Fake Tattoos was well received at Berlin in the 14+ section of the festival and at other international festivals. As one of the IMDB reviews suggest, this is just the kind of film that should do well on VOD platforms. So please do a search across whatever streaming platforms you use and try to track this down. And look out for more from Pascal Plante. There is a line in A Paris Education uttered by one film student to another referring to “a long whiney French film”. That’s quite a brave line in a film that lasts 136 minutes and presents characters in B+W CinemaScope talking endlessly about film and ‘love’ and occasionally staring hard out of the window or just looking blank and consumed by their own thoughts. However, for an audience supposedly steeped in French cinema this should be an interesting experience. But apparently not for all as several people walked out of the LFF screening before the end. The director Jean-Paul Civeyrac is very experienced, having shot his first feature in 1997 and developed a career in which he taught at the leading French film school La fémis, becoming head of direction and then at the film school at Paris VIII University. He’s been around film students for a long time and knows how they tick. Drawing on his own experiences he constructed a script as a form of ‘autofiction’ and shot part of it in his own university. The story offers us Etienne (Andranic Manet) as an aspiring film student who arrives in Paris from Lyon and discovers he is sharing a flat with Valentina courtesy of a family contact. She is the first of several attractive women who might slide into his bed – something of an issue for Lucie, his girlfriend of six years left behind in Lyon. Etienne joins the film class and soon becomes known as an old-style cinephile who acquires two close friends, the sociable gay man Jean-Noël (Gonzague Van Bervesseles) and the intellectual bully Mathias (Corentin Fila). The narrative then meanders over the next couple of years during which Etienne attempts to make his course film and sort out his love life. A coda reveals what has happened to Etienne a few years after he has left Paris VIII. Etienne (Andranic Manet) looks up when he first arrives in Paris. I didn’t walk out of the film but I did struggle at times to be fully engaged by the narrative and the characters. This version of film school life seems quite laid-back. I’d gone into the screening wondering if the film would directly reference La nouvelle vague and the nearest it came to doing this was the ‘Rohmeresque’ nature of some of the encounters between young men and young women. One scene in particular seems to echo Rohmer’s My Night with Maud (1969) during which a debate about religion and morality in Pascal’s writing fails to lead to sexual congress. It was only later, reading some reviews, that I realised that the model for this kind of film is not the films of the Cahiers du cinéma group of New Wave directors, but the later directors Jean Eustache and Philippe Garrel. Eustache (1938-1981) was a ‘provincial’ like Etienne and his friends and his most celebrated work was The Mother and the Whore (La maman et la putain, 1973). This long film (219 mins) starred Jean-Pierre Léaud and Bernadette Lafont in a narrative which has some similarities to A Paris Education and has been celebrated as one of the best French films ever made – though it divided critical opinion when it won the Cannes Grand Prix. I haven’t seen any of the films of Eustache or Garrel. Several titles by the latter have recently screened on MUBI in the UK. If I had known these films I might have got more from A Paris Education.
. . . only a minority truly possess it. At that age, many of them are trying to find themselves or flirting with the film business and, if they carve out a place in it, they don’t direct. The fervour for cinema that features in A Paris Education is the one that drives anybody for whom making a film is an existential quest. If you want to know if Etienne eventually makes it you’ll have to watch the film. I’m not sure if this film will get any kind of UK release, but if you get the chance to see it, I recommend reading the Press Notes first. The opening scenes of this melodrama look like a travelogue graced by Jack Hildyard’s gorgeous Technicolor cinematography. I guess tourism was becoming more popular in the post-War era and the shots of Venice would no doubt have tempted many to visit. All these scenes lack is a complacent voice over selling us the place’s charms in a twee way. Fortunately the film stars Katharine Hepburn. 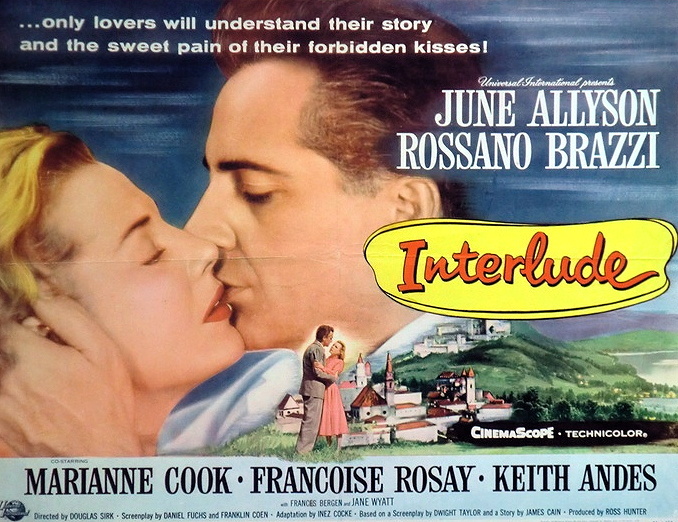 The slight ‘holiday romance’ story was adapted, from Arthur Laurent’s play, by director David Lean and H.E. Bates (and the uncredited Donald Ogden Stewart). 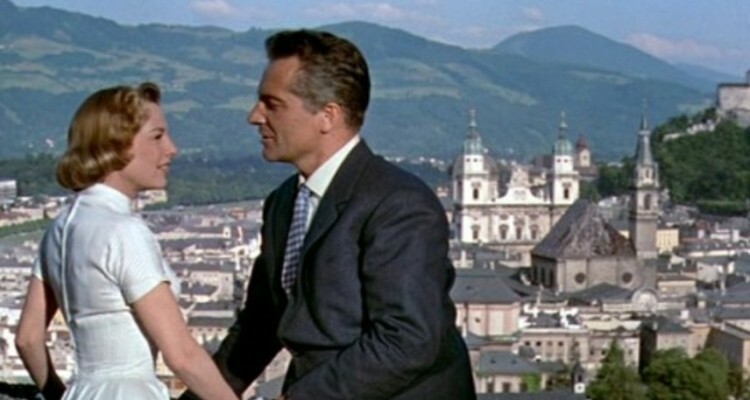 Hepburn’s ‘independent woman’ persona is to the fore at the start as she’s touring on her own but finds the ‘romance’ of Venice casts her loneliness into the foreground: cue Rossano Brazzi’s Italian charmer, Renato di Rossi. What makes the film distinctive is the way Jane Hudson’s (Hepburn) loneliness is portrayed as it isn’t just something that is presented as a ‘narrative lack’ to be fulfilled ‘happily ever after’ at the film’s conclusion. There’s real pathos in Hepburn’s performance as she hesitates to go for the ‘holiday fling’. Her ‘middle aged spinster’ characterisation takes up a fair proportion of the film and the scriptwriters don’t compromise with their ending. In a striking scene, when di Rossi first sees Hudson we get that rare beast: the male gaze directed at an ‘older’ woman (Hepburn was 48 at the time). We see him appreciatively look at her body, particularly her exposed calf. Even the ‘cute’ kid isn’t too irritating though Lean’s tendency to shoot a lot of the conversations in long takes and an immobile character tends to drain the drama. However, the numerous shots of Hudson wandering around a crowded Venice are skilfully executed. Apparently the adultery fell foul of the Production Code and scenes were cut: the film leaves us with a firework display. Hepburn received one of her numerous Oscar nominations; Lean, too, was nominated. It’s difficult to write objectively and dispassionately about A United Kingdom. I invested a great deal emotionally in watching the film on its release in 2016 and I wasn’t disappointed. For the film to be made at all and with a generous budget and good promotion is in itself a triumph. In fact, my only disappointment was in reading some of the mealy-mouthed and borderline offensive comments about the film submitted to IMDb. I hesitated about publishing my post but now, during something of a furore about Black History Month in the UK it seems appropriate to put my thoughts on record. 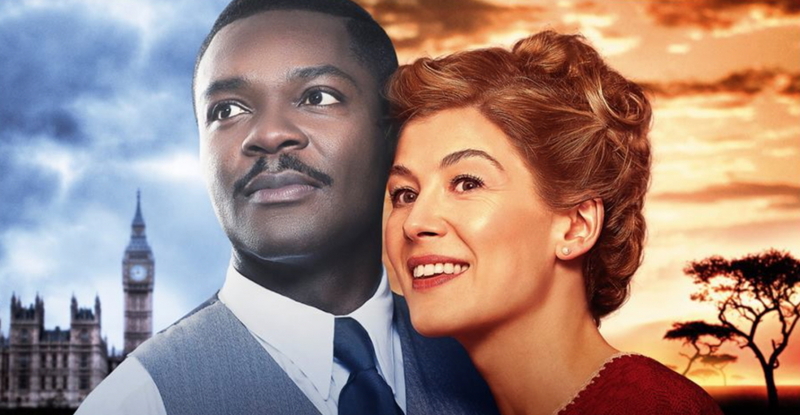 A United Kingdom presents a ‘real life story’ about a personal relationship which began in London in the late 1940s and which became the focal point of a story about international diplomacy, ‘End of Empire’ and racism in Southern Africa (and in the UK). 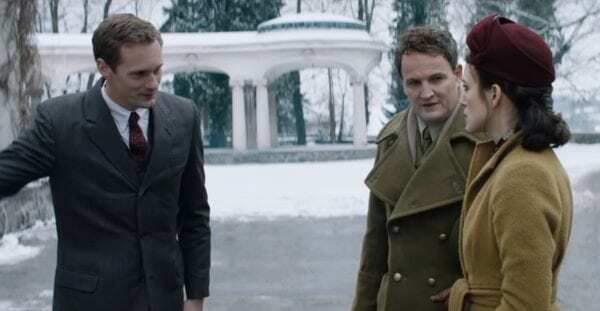 While the film’s narrative is constructed mainly from historical facts, there are some instances of ‘artistic licence’ in scriptwriter Guy Hibbert’s version of events. But I don’t think these departures and other slight inaccuracies in any way undermine the thrust of the film’s message. This is a mainstream feature melding elements of romance, adventure, biopic and political thriller with a satisfying dose of social comment. It is also a personal statement by Amma Asante, a British director of African descent, working with David Oyelowo, a British star actor, also of African heritage, both of whom recognised the importance of putting this story on screen. Add to this a passionate and committed performance by Rosamund Pike and here is a film to savour. The couple meet in London . . . In 1947 the British Protectorate of Bechuanaland in Southern Africa covered a large area of mainly arid plains (and desert areas) and mountains with a tiny population of under 150,000. As a ‘protectorate’ rather than a colony the local population had certain land rights vested in hereditary rulers, the most important of whom was Seretse Khama. In 1947 Seretse was studying to become a barrister in London while his uncle acted as regent after Seretse’s father died. In London, Seretse met and later married Ruth Williams, a clerical officer at Lloyds and the younger daughter of a lower middle-class family in South-East London. Ruth was a grammar school girl who had driven ambulances as a WAAF in the war. The newly-married couple faced a great deal of opposition. In London a de facto ‘colour bar’ existed in parts of society. In Bechuanaland, Seretse’s uncle opposed the union because he thought it inappropriate for a future king and when Seretse and Ruth arrived in the country they faced a difficult future. The British government opposed the marriage because of the situation in Southern Africa. Bechuanaland Protectorate was administered locally by a British representative on the ground who was answerable to a Commissioner for Southern Africa – who was actually based in South Africa. South Africa had been a ‘dominion’ in the British Empire since 1910 and a sovereign state since 1931 as a constitutional monarchy with a Governor-General representing the British monarch. In 1948 the Nationalist Party of South Africa returned to power under D. F. Malan with the intention of building an apartheid state – institutionalising segregation and ‘separate development’ for racial groups. The British Government faced the dilemma of accommodating the apartheid state or losing any influence in South Africa at a time when UK foreign policy at the beginning of the Cold War was designed to retain British military bases and allies overseas in a time of austerity. A United Kingdom‘s script neatly demonstrates the insidious nature of apartheid in showing a hotel in Bechuanaland which requires Black Africans to use the back door – with just the one exception of the king, Seretse Khama. There was a real danger of South Africa attempting to annex large parts of the protectorate. The requirement to keep the Nationalists ‘on side’ in the early 1950s meant that Seretse and Ruth Khama were exiled and forced to live in London for several years in the early 1950s. The key to the political/diplomatic narrative of A United Kingdom is in the land rights vested in the Khama family’s history, so that when diamonds are discovered in the territory, Seretse Khama has a legal claim in the British courts. This would eventually lead to a valuable resource becoming available for the people of Bechuanaland which moved to a peaceful independence in 1966 as the Republic of Botswana – with Seretse Khama as its first President. Botswana has since become a stable state with high levels of ‘human development’. It’s fascinating to see the role of Labour MP Tony Benn in all of this (the Khamas named their second son ‘Tony’). Benn’s role in the film is based on historical fact, but I’m not sure about some of the other Westminster political events depicted. In researching this background I realised that there was a second similar ‘scandal’ in 1956 when the daughter of the senior Labour Party politician Stafford Cripps married a Ghanaian politician just before the country’s independence from the UK in 1957. So, A United Kingdom is actually representative of many stories associated with ‘End of Empire’ – many African leaders of the 1950s and 1960s were in London in the late 1940s and 1950s. But this is also a romance and a moving family story. I realise now that there is a great deal of similarity between A United Kingdom and Gurinder Chadha’s Viceroy’s House released a few months later. Both films are proudly emotional and passionate about the ‘personal stories’ that represent the struggles of ‘colonial subjects’ in the dismantling of the British Empire. In both cases their directors are shining an important light on episodes of British foreign (and colonial) policy that very much need to be exposed. Both films should become staples in UK education about Empire history. What they also have in common is a criticism in terms of nitpicking about historical accuracy from the right and sometimes disdain from middle-class supporters who refuse to recognise the genre-based cinema of Amma Asante and Gurinder Chadha. There are those who still dismiss popular cinema but both films need to be supported in placing ‘popular’ stories before us.